The Limited Edition Strider 11 ABT Sport Master revealed at boot Düsseldorf. 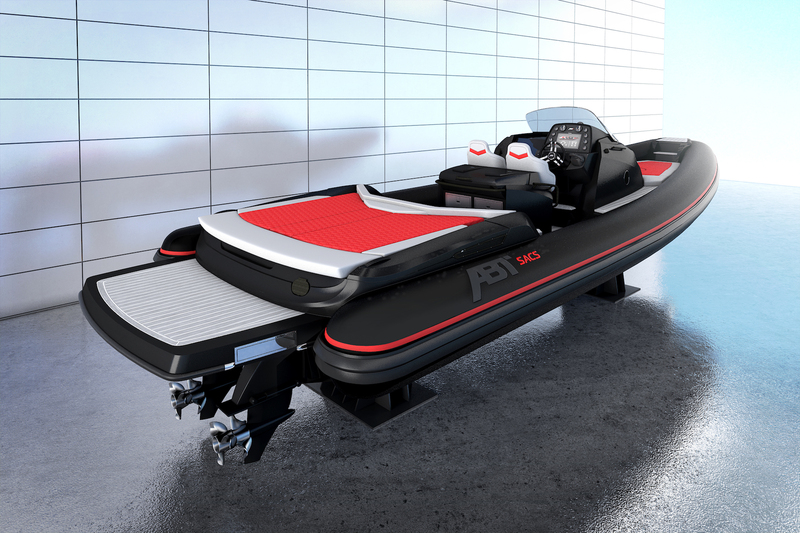 A fresh collaboration between Sacs and ABT, the German car tuning provider, has delivered a muscular luxury 11-metre RIB. 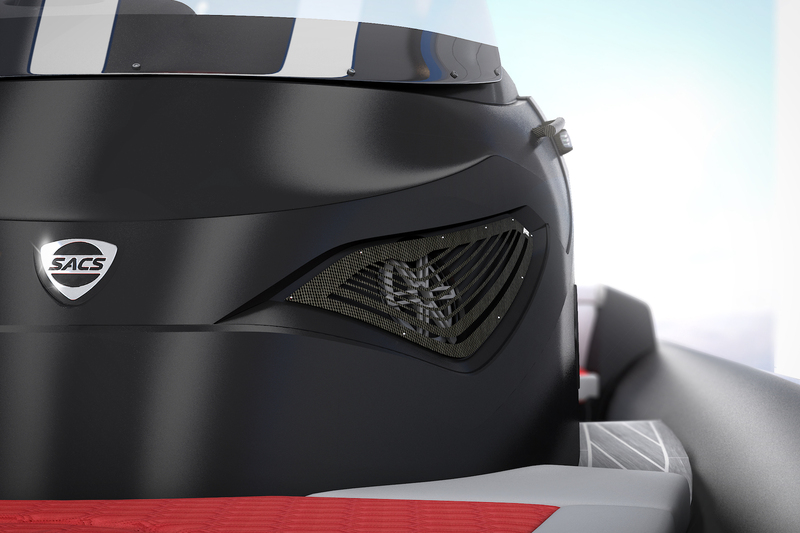 The Strider 11 ABT Sport Master shows an aggressive look and a strong personality with black carbon tubes, hull and deck matte black painted and a special Exhaust Sound Control System. The choice of colours, the texture, the appeal of the cushions, the interior design, the racing details, the modern dashboard and the ergonomic remote controls are all elements that make this RIB a standout. 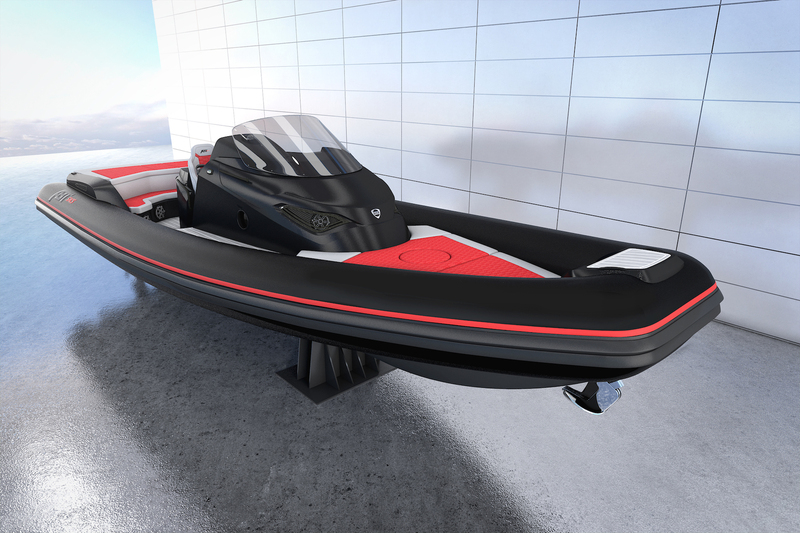 This RIB as all about style, performance, sport, fun and, of course, speed. 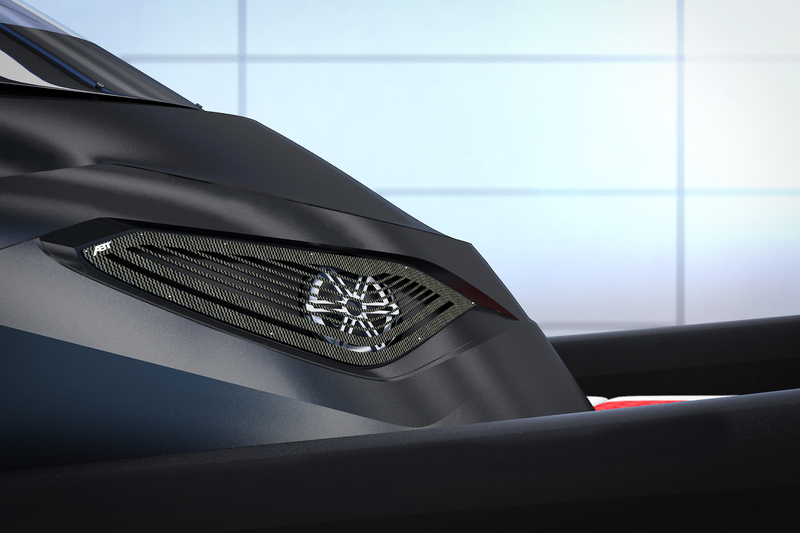 Designed by Christian Grande, the Strider 11 will deliver a max speed of over 50 knots, with powerful 740hp engines.